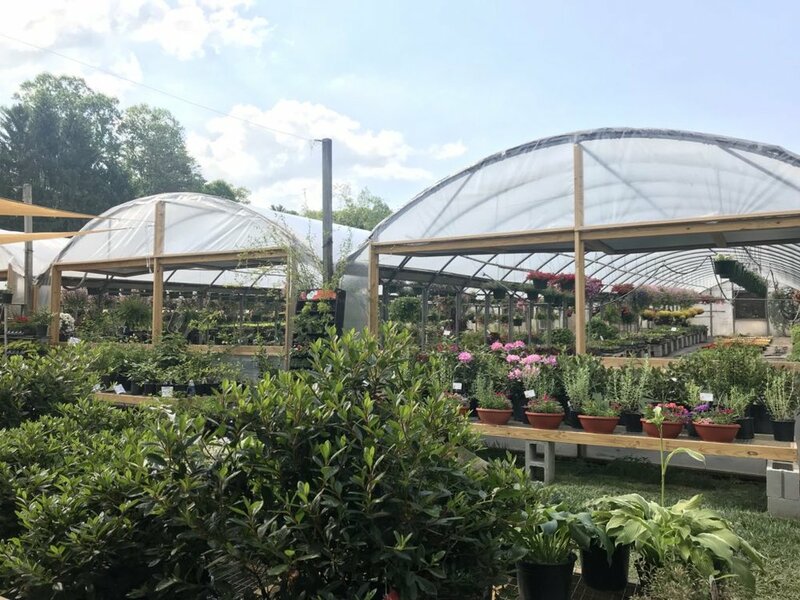 Our goal is to grow the most beautiful plants in Western North Carolina just for you. Jack Young's father used to own the land here. After Jack's father passed away when he was a young boy, Jack's mother became the new land owner. Jack always knew he wanted to buy the land from his mother once he grew up, and that's exactly what he did. Years later, Jack and his wife, Kay, decided to start farming tomatoes and a few other vegetables on the property. In an effort to have a steady income and food on the table all year long, the couple built the first greenhouse on the property. Today, there are over 22 greenhouses each housing a large variety of beautiful plants. After over 40 years of maintaining the greenhouses, Jack and Kay have decided to pass off the business to Jesse and Amy Ross. Jesse Ross has a dream of turning the farm into a place where families and friends of all ages can come to enjoy themselves. With the hard-working team that they've assembled, including Nate Jones who has been an instrumental part of the operation at the greenhouse, their dream is finally coming true. Be sure to keep a close eye out for new additions coming to the farm, such as a petting zoo, pumpkin patch, and more in late 2018!